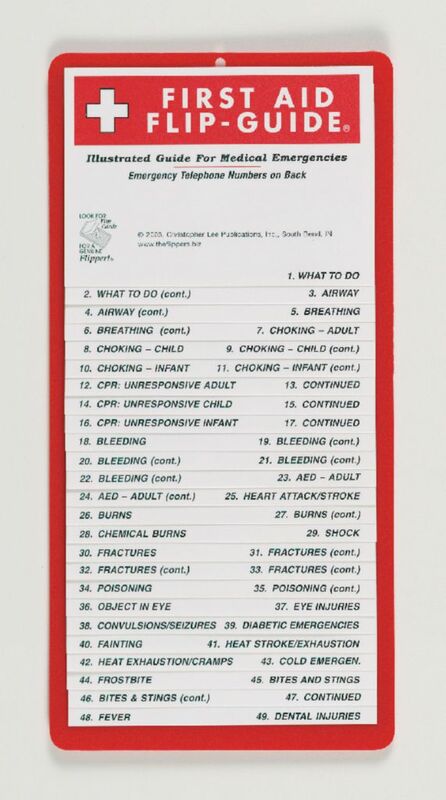 There are 27 laminated flip cards that contain important, step by step information on 49 medical emergency situations including what to do in case of burns, fractures, poisoning, heart attack, shock, fainting, frostbite, insect bites and stings, choking and more. 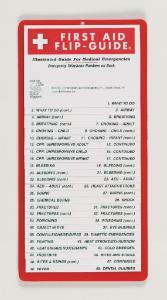 The back has two magnets so the First Aid Flip Guide can be stuck on your refrigerator, file cabinet, or any metal surface. Or use the small hole at the top to hang the Flip Guide from a nail, push-pin or string. A must for school, home, warehouse, and office.